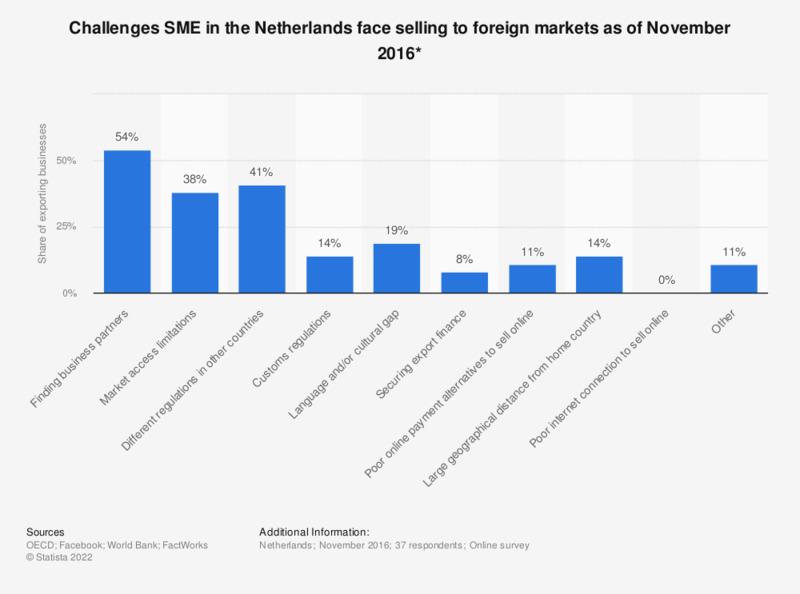 This statistic shows the challenges the small and medium enterprises (SMEs) in the Netherlands face when selling on foreign markets as of November 2016. From the responding SMEs exporting in November 2016, 38 percent considered market access limitations to be a challenge. * Source question: You said that “selling to foreign markets” is a challenge for your business. What particular challenges does this include?